You may want to control an active report beyond the capabilities that are provided by Developer Studio. 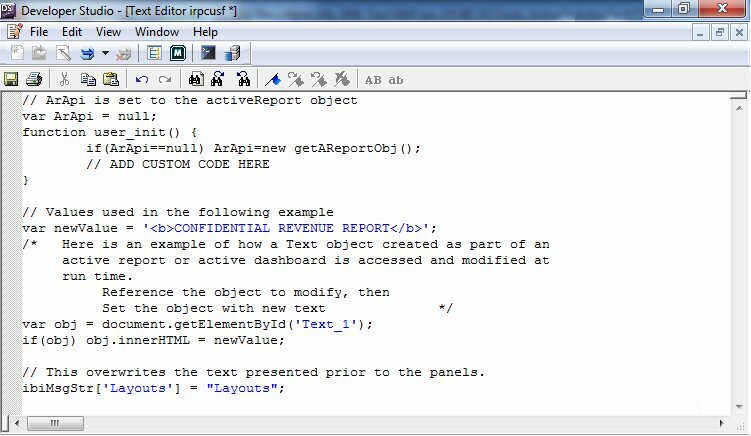 The Active Technologies feature has its own Application Programming Interface (API), which you can access as you develop reports. Open the active dashboard in Document Composer. Add custom code that accesses the object that was created previously in Document Composer. For example, the following custom code adds the text CONFIDENTIAL REVENUE REPORT, in bold, to the Text object that is named Text_1. The new text replaces the previous text, Century Electronics Regional Revenue Report. Add the code that controls the text that precedes the tabs (panels) of an active dashboard. 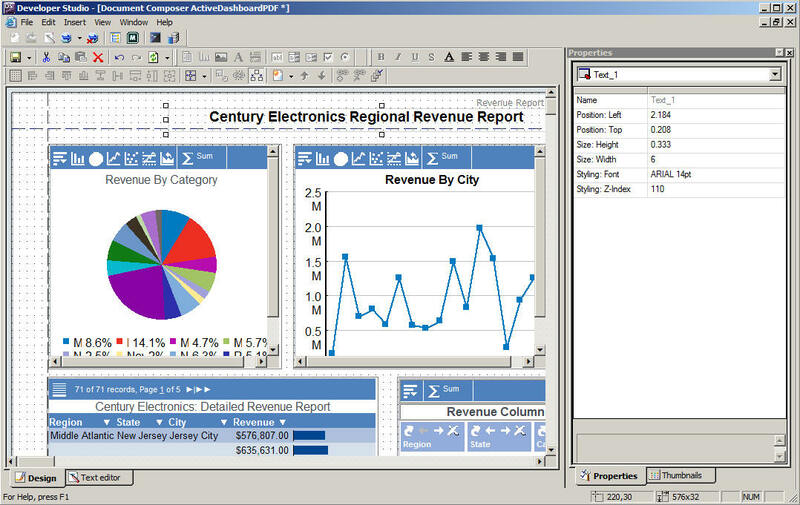 A set of three sample tabs is shown here. Following is an example of code that adds the text Layouts in front of the tabs. // This overwrites the text presented prior to the panels. You can change the value in double quotation marks to specify the text that will be displayed. Blanks are allowed. The following image shows the contents of a sample irpcusf.js file in the Developer Studio Text Editor.